This is a Government initiative aimed at "narrowing the gap" in achievement between children who are eligible for Free School Meals (FSM) and other groups in school. At English Martyrs’ Catholic Primary School, we have higher than average numbers of children eligible for FSM so have been allocated this additional funding. In 2018/2019, the Pupil Premium allocation is £101,220. Some of our more vulnerable children face a variety of barriers to learning. These range from issues within the family setting leading to low levels of support for Maths and English skills ~ for example, not being able to read daily at home or learn basic arithmetic and Maths skills. Some children are at risk of becoming persistent absentees as a result of family situations. Some of our vulnerable children have a need for additional emotional and social support as a result of loss, bereavement, significant changes in family circumstances, financial crisis at home, are asylum seekers or refugees or have had to flee their home in the UK. o Continuing our pastoral/nurturing support role and work on Attendance~ developing the role of our Behaviour Mentor to incorporate regular work with our vulnerable Persistently Absent children and their families. o Developing ‘Nurture Support’ to support some of our more vulnerable children. o Developing Bereavement Counselling for ALL vulnerable children. o Continuing to subsidise our quality enrichment activities, Educational Visits and visitors in school. o Continuing work to develop firmer home-school links. o Continuing Professional Development training as needed in order for all staff members to support children’s learning. o Booster group sessions in our KS1 for Reading through Reading Recovery and Better Reading Partners; and Inference support in KS2. o Booster group sessions in our KS2 for Maths, Reading and Writing; with targeted support in Year 6.
o Maintaining and enhancing teaching assistant hours so that ALL vulnerable children have a Key Worker throughout the school day. o Improvement and enhancement of computing resources and uses in order to provide excellence and enjoyment in learning. o Enabling school to provide Teaching Assistants to run the school Breakfast Club. "Narrowing the gap" is only able to take place at English Martyrs’ Catholic Primary School because we have a rigorous and robust tracking and monitoring system to ensure all pupils, regardless of their starting point and personal situation, are making sufficient progress in order to meet and exceed their own personal targets. In 2017/18, the school received £84,940 in Pupil Premium allocations. o Developing Maths training throughout school to raise standards, particularly for the most disadvantaged. o Continuing our pastoral support role and work on Attendance~ developing the role of our Behaviour Mentor to incorporate regular (twice weekly) work with our vulnerable Persistently Absent children and their families. o Maintaining and enhancing teaching assistant hours. · Children benefitted from small group work enabling more personalised learning. · There has been accelerated progress and higher achievement for all our children but especially for groups of children who needed additional support. · Additional intervention groups supported by qualified Support Staff, leading to accelerated progress of vulnerable children. · Narrowing of gaps between ALL groups of children. · Vast improvement in attendance and punctuality. In 2016/2017, the Pupil Premium allocation is £109,560. Some of our more children face a variety of barriers to learning. These range from issues within the family setting leading to low levels of support for Maths and English skills ~ for example, not being able to read daily at home or learn basic arithmetic and Maths skills. Some children are at risk of becoming persistent absentees as a result of family situations. Some of our vulnerable children have a need for additional emotional and social support as a result of loss, bereavement, significant changes in family circumstances. o Continuing our pastoral/nurturing support role and work on Attendance~ developing the role of our Behaviour Mentor to incorporate regular (twice weekly) work with our vulnerable Persistently Absent children and their families. o Developing ‘Play Therapy’ to support some of our more vulnerable children. In 2015/16, the school received £127,400 in Pupil Premium allocations. Employing a Part-Time Attendance Support Worker to work 1 to 1 with vulnerable children who struggle to attend school or arrive on time as a result of family circumstances. 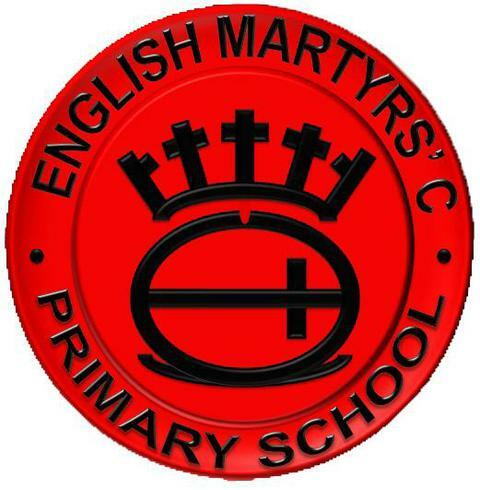 Employing an additional teacher (part-time) to enable English Martyrs’ Catholic Primary School KS2 children in Years 5 and 6 have intervention and ‘booster’ support. Reading Recovery and Better Reading Partners sessions in KS1 for Reading; with targeted Better Reading Partners support in KS 2. Enabling staff to undergo specific early intervention training in reading and writing, resulting in improved delivery of reading sessions to all the children. Mentoring and nurturing for all pupils, particularly our most disadvantaged children; pastoral support, enabling 3 Teaching Assistants to be non class based in afternoons to work with children, developing their emotional and behavioural needs. Training 9 Teaching Assistants in Bereavement Counselling to provide support for individual and groups of vulnerable children. Benefiting children in subsidising regular quality enrichment activities, Educational Visits and visitors in school. Children benefitted from small group work enabling more personalised learning. There has been accelerated progress and higher achievement for all our children but especially for groups of children who needed additional support. Additional intervention groups supported by qualified Support Staff, leading to accelerated progress of vulnerable children. Narrowing of gaps between ALL groups of children. Vast improvement in attendance and punctuality.